Antares Ltd., along with its Ukrainian partners - Somik, took part for the fourth time with a booth at the most prestigious and authoritative annual construction exhibition in Ukraine - InterBuild Expo. The event took place between March 20th and March 23rd in Kiev. With 25 000 visitors, gathered from all around the world, InterBuild Expo 2018 was a good platform to create fruitful professional contacts and prospects for new long-term collaborations. 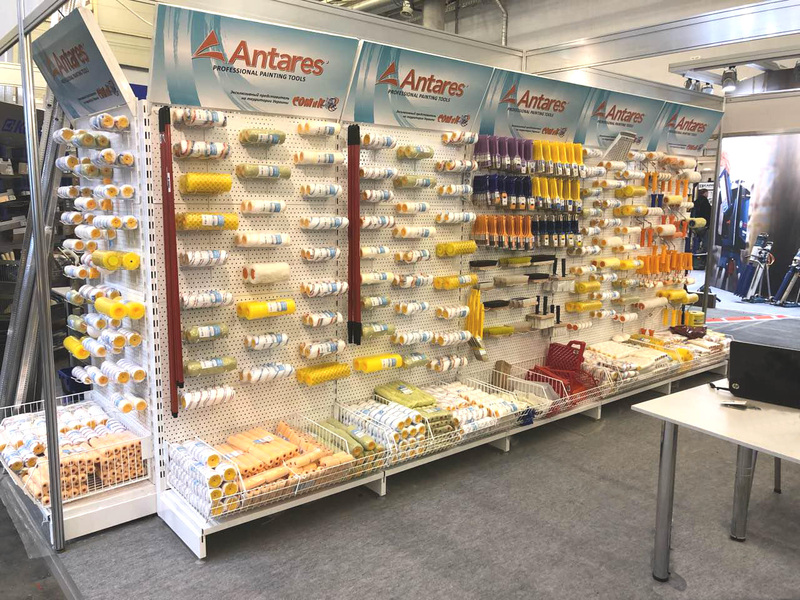 Antares`s product offering consisted of not only the standard range of items, but also some of the newly showcased paint rollers, adjusted to the specific customer requirements and needs. We would like to thank everyone, who visited our booth. We expect you again next year!